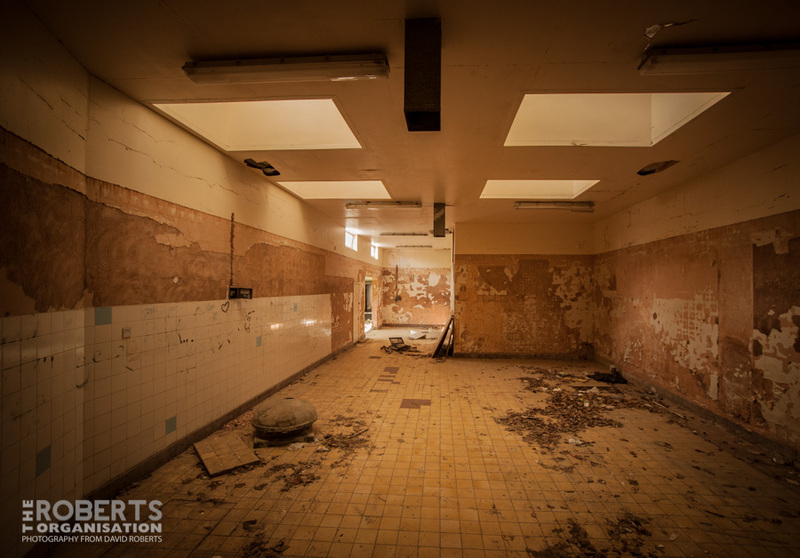 A pleasantly yellow interior in the former Kitchen area at the abandoned Denbigh Mental Hospital in North Wales. A full set of Denbigh photos can be seen over on Flickr. The hospital (known locally as ‘Denbigh Mental’) closed in sections from 1991 to 2002, and has been extensively vandalised in the years since. Proposals to convert the buildings for residential use have come to nothing and Denbighshire County Council are currently considering acquiring the site.